Victory Bear’s superior finish reduces labor costs and adds value to your projects. 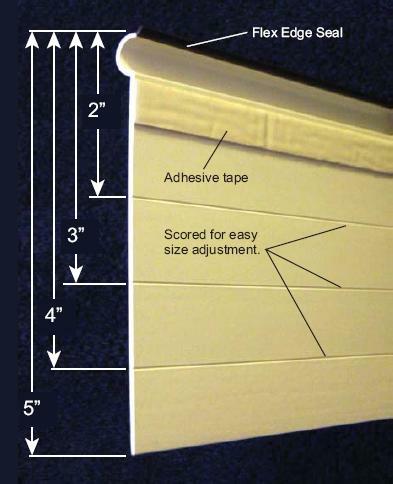 Victory Bear Universal Drip Edge is designed with rigid and flexible PVC for superior performance and value! 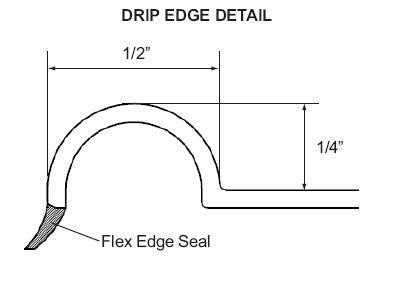 The rigid PVC creates a superior finish, while the flexible PVC creates a tight seal against the form board, greatly reducing the need for caulking in precast applications! 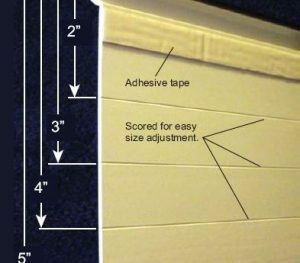 Universal Drip Edge is scored at 1” increments, easily allowing you to adjust the depth of the drip from 2 to 5 inches. The Victory Bear System Use with Victory Bear single chamfers (not included) for the perfect chamfer/drip edge system. 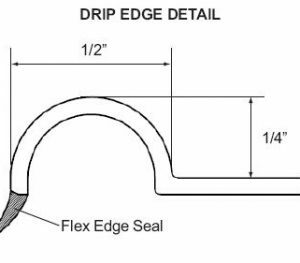 Our patented Flexible Edge Seal fits tightly against the casting surface, preventing concrete seepage while creating sharp, crisp lines.